If you are a human, then you know that you have a mind, a stable one of course. And if you have a stable mind, then it implies that you can be rational, at some time, which also means having a common sense, the presence of mind and many other notable terms that a normal human being is attributed to. But in the case of Mr. Sambit Patra-the present National Spokesperson of the biggest political, ruling party of the country, BJP-all these terms make no sense at all. In fact, he has come out with his own, ‘crafted terminology’ in recent years, consistently, which he showcases at every regular press conference event, or a debate show, on any ‘mainstream media channel’. For those, who somehow don’t know who Sambit Patra is, he is the official BJP spokesperson, since 2011. He is a former Medical Officer of Hindu Rao Hospital and a qualified physician with a degree of Master of Surgery in General Surgery. Be it a direct question about a political issue, a government issue, a scandalous issue or any other significant issue, Mr. Patra is a man who always knows everything about anything, which the person asking him doesn’t! The recent press conference about the ongoing ‘Rafale deal issue’, on 24th September, is just another consistent ‘trivial’ example of his great speaking skills, clever mind and fantastic analytical, detailed abilities about a topic being asked! He was asked a direct question regarding the ‘Rafale deal’ that how HAL (Hindustan Aeronautics Limited) got sidelined, and how come Reliance was chosen for the contract of manufacturing the fighter planes? Guess what his answer came out to be! It was about Congress and Pakistan having a commonality-what a digressing (permanent) ability, Mr. Patra! Not only this, the biggest unbelievable thing was that, to prove it he officially brought with him the ‘printed tweets’ of recent posts by some Pakistan ministers, backing Congress president Rahul Gandhi to become India’s PM in 2019 Lok Sabha elections. As is already mentioned above, Mr. Patra is a clever and intelligent being who knows how to alternate a question. About a question on a specific issue-in this case, it’s the rafale deal-he comes up with his own customized answer to prove the commonality between Congress and Pakistan! What’s going on with his brilliant brain? Is he having one? And if yes, then where’s the problem? He has done it before too-not long ago. But yes, some ‘important and famous’ TV channels just invite him to showcase his talents of negative rhetoric words, nonsensical opinions, and deviated thoughts. They pose fake questions and he answers in his own style. He is an all-knower, no doubt. 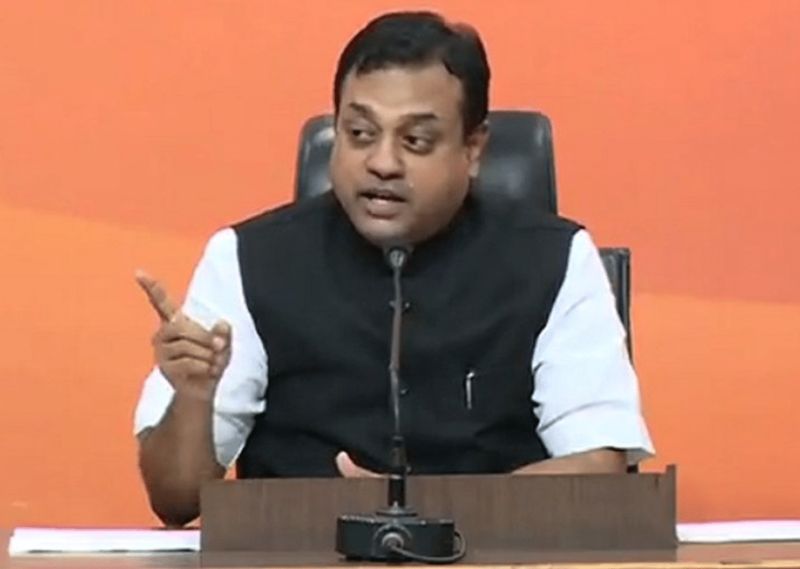 With a smirking face, irritating way of answering and on top of that, his all-knowing abilities, Mr. Patra is always present to speak for BJP, at any press event or on a show. He is the face for telling all the lies, also with a sense of trustworthiness! Just taking the case of Rafale deal itself, Sambit Patra has been continuously trying to digress the objective of any question targeted towards the ruling government or India’s PM’s actions involved in it. What was the motive behind his efforts of bringing a ‘proper’ printout of the tweets of a few Pakistan ministers? Was it to show that Congress is making an international alliance with Pakistan to do campaigning for them in next year’s elections? In that case, what if any other party or party leader said the same thing for the Indian PM, owing to his meetings with Pakistan’s current PM Imran Khan, back in December 2017, or his sudden unannounced visit to Pakistan during the tenure of former Pak PM, Nawaz Sharif? And what about those ‘supporting talks’ that Pakistan diplomats, including former PM Nawaz Sharif, had with several media personnel in 2014, in which they were backing Mr. Narendra Modi to become the PM of India so that he would provide strong leadership to pave the way for peace talks between both the nations? Now, will you say that PM Modi had an alliance with Pakistan back then to campaign for him during 2014 Lok Sabha elections? Congress didn’t do anything like this, at that time. What would have been the stance of BJP and Mr. Patra then? Well, in that case there would have been a storm on media channels against all those parties or opposition leaders. Why? Because they are in the opposition and you can’t ask a question to the present ruling government! If you are in power, and accountable for something, then you are also responsible enough to answer for it. This must be clear by any means possible. The objective of this article is not to take anyone’s side or of any party in opposition to BJP, or to target a particular individual, as some brainless beings may say, but to show a transparency to what is actually happening that is utterly meaningless from the perspective of the country’s citizens. And people like Mr. Patra have this kind of ideology that the Indian citizens are just fools who will buy anything that he sells on behalf of his party and for the sake of the ‘country’ as he mentions thousands of times. And he’s not the only BJP leader to have this ideology, everybody who’s at some recognized post or position in the party is doing the same. And if this is it, what a big shame then.